Cockburn John Charles Academy is a member of the Cockburn Multi-academy Trust whose focus is on each individual, acknowledging both their rights and responsibilities. Teaching and Learning drives an ambitious curriculum that seeks to stretch and challenge all students through academic rigour. A strong care, support and guidance structure supports learning throughout the school. 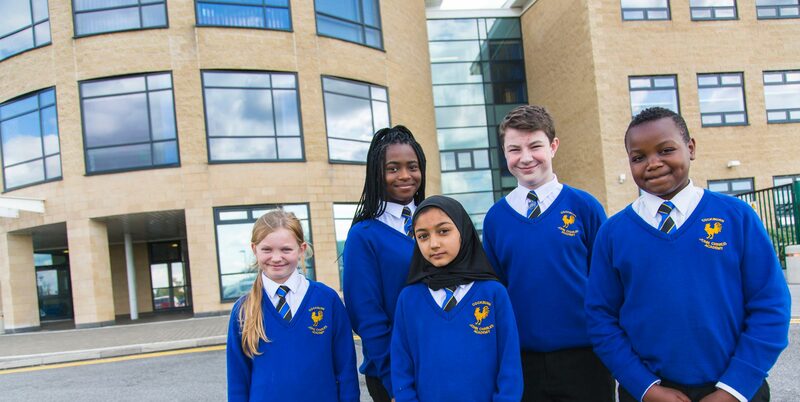 Our vision is to create opportunities within and beyond the curriculum to enable each student to become confident, independent and successful citizens in modern Britain. Through dedication and hard work our students will have a love of learning and a resilience that is essential for great accomplishment. We widen the aspirations of all students, to help them to reach destinations that are ambitious and fulfilling. We value the arts, both as part of the curriculum and as part of the school’s extensive enrichment and extra-curricular programme. We have high expectations of academic success and discipline and believe that these are best achieved in a caring environment. We promote respect and good manners; these are fundamental to our school based on our shared Values and Expectations. We recognise the importance of each individual and the school’s place in the local community. We aim to promote lifelong learning by developing creative, independent and reflective learners. We believe in the equality of opportunity and in celebrating success for all.